We are a friendly, dedicated team committed to providing excellent health care for you, your family and your future. Our doctors and nurses take pride in offering the highest standard of patient-centred healthcare.We offer appointments for chronic disease care and offer a wide variety of other medical services such as antenatal and postnatal care, minor surgery, childhood vaccinations and well-person check-ups. Our practice also takes part in high quality medical research, which helps to improve the health and wellbeing of the nation. Please note we will be closed for the Easter Bank Holiday, from 6pm Thursday 18th April and re-opening 8.30am Tuesday 23rd April. Please call 111 if you need urgent medical advice during the time we are closed. The media has recently drawn a lot of attention to doctor’s receptionists. We wanted to thank our reception team for the excellent job they do in keeping the practice running smoothly and supporting our patients. The information we ask receptionists to gather when patients contact the practice is always very important in helping us prioritise our work safely and efficiently, and enabling patients to be seen by the most appropriate person for their needs. 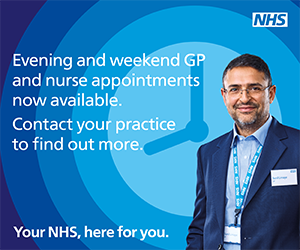 This Practice is a member of Exeter Primary Care. 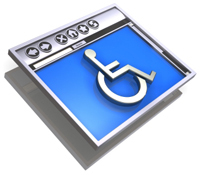 The Premises have been designed to allow easy access for the disabled. All patient treatment and administration areas are on the ground floor. There are two ground floor toilets for the disabled. A loop system is provided in the waiting room for people with hearing difficulties. 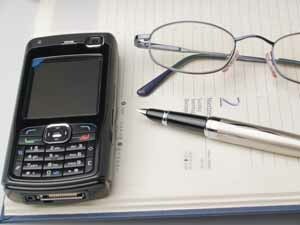 The receptionists are happy to provide assistance to people with vision or hearing impairment. Please let the receptionists know if assistance is required. Please see the "Improving Access" section of our website for more information. If you use our online services to order medicine or book appointments, you can now use an app to view access your account via your smart phone. Details about the app are available online — search for “SystmOnline—the patient health management app” . Or follow the link using one of the buttons below.